The finest ingredients expertly blended with a touch of garlic and Stonebarns very own black winter truffle, grown in the pristine paradise of Manjimup in Western Australia. Offering a rich earthy flavour, this truffle aioli makes even simple french fries a gourmet delight. 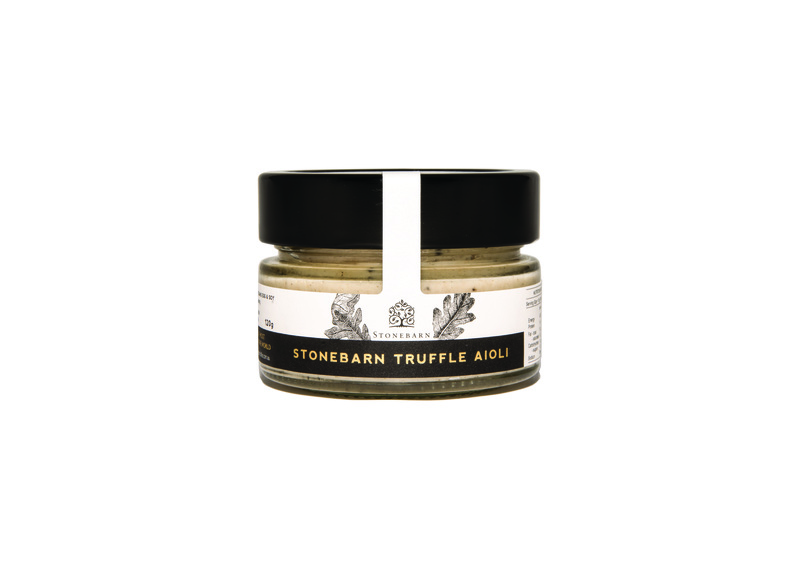 Growers and producers have developed an amazing array of truffle inspired condiments and spreads incorporating truffles, truffle aromas and truffle flavours. From mustards to honey to aioli these condiments enliven almost any dish. Whilst we’re all familiar with the more traditional uses and applications of mustards, tapenades and aioli, some of the imported lines are so intensely flavoured they can easily stand alone- as a bruschetta topping, served on crostini or simply on fresh crusty bread.